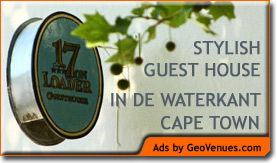 Accommodation in Plettenberg Bay: Fynbos Ridge Guest House. Our 5 star Establishment is set in fragrant Fynbos. Spectacular mountain views. Abundant birdlife. Relax and unwind at our secluded pool, or enjoy the many activities in the vicinity – forest or coastal hiking trails, glorious beaches, top golf courses, whale watching safaris. Choose between a luxurious suite in the gracious Cape-style Manor House or a spacious, secluded self-catering cottage, newly refurbish with stone bath tubs. Delicious dining and alfresco breakfast are available, or pick your own salad from our organic vegetable garden. We invite you to experience our magnificent Private Nature Reserve.